WWF is deeply concerned over the potential damaging impact any oil production could have on Salonga and Virunga national parks in the Democratic Republic of Congo (DRC). As recently released by the government, plans are underway to partially degazette both World Heritage Sites for oil exploration and exploitation. According to the inter-ministerial meeting report obtained on 26th June 2018, the state confirms its intent to consider partial degazettement of the two parks, and gave the authorization to the country's oil ministry to set up two commissions to launch the process. Salonga and Virunga are home to bonobos and mountain gorillas, two critically endangered species, and extractive activity poses a grave risk to their exceptional flora and fauna as well as the lives and livelihoods of neighboring communities. WWF which co-manages the Salonga National Park already expressed its concern over this decision in a statement released in March 2018. 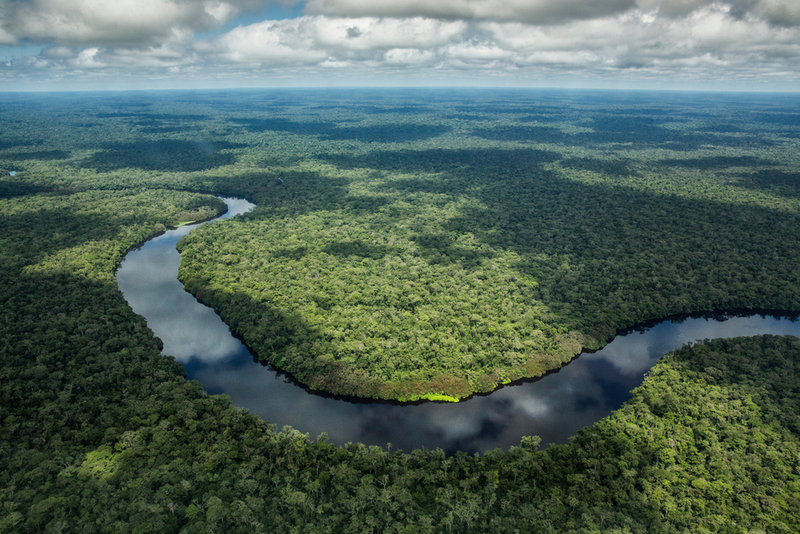 WWF urges the DRC government to safeguard these sites of outstanding universal value and pursue a sustainable development path to build a better future for local communities and indigenous people that live in these areas. WWF is working with partners and stakeholders on the ground, both in North Kivu and Salonga, to help develop a green economy program that could protect these unique ecosystems while improving socioeconomic conditions for the people who depend on these natural resources. Aerial view of Salonga National Park and the Luilaka river, just before landing at Monkoto, Democratic Republic of the Congo.